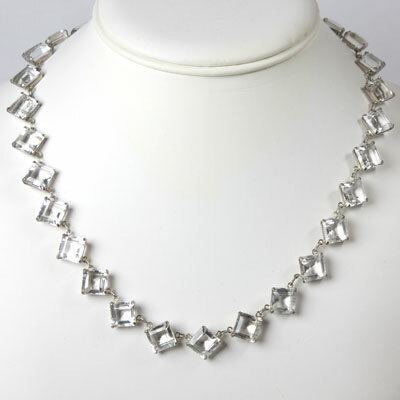 Another lovely 1920s Art Deco classic is this necklace with faceted, crystal chicklets set in decorative silver-tone mounts. 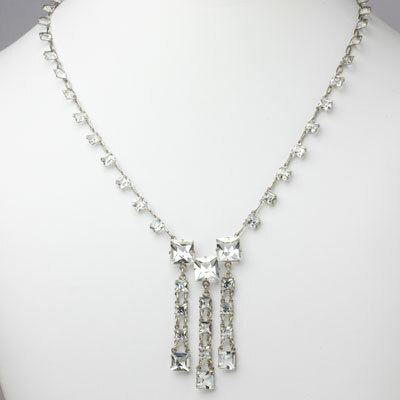 The three-part drop in the center is formed from links of crystal chicklets, which add to the sparkle and uniqueness of this piece. This necklace is probably silver plate. 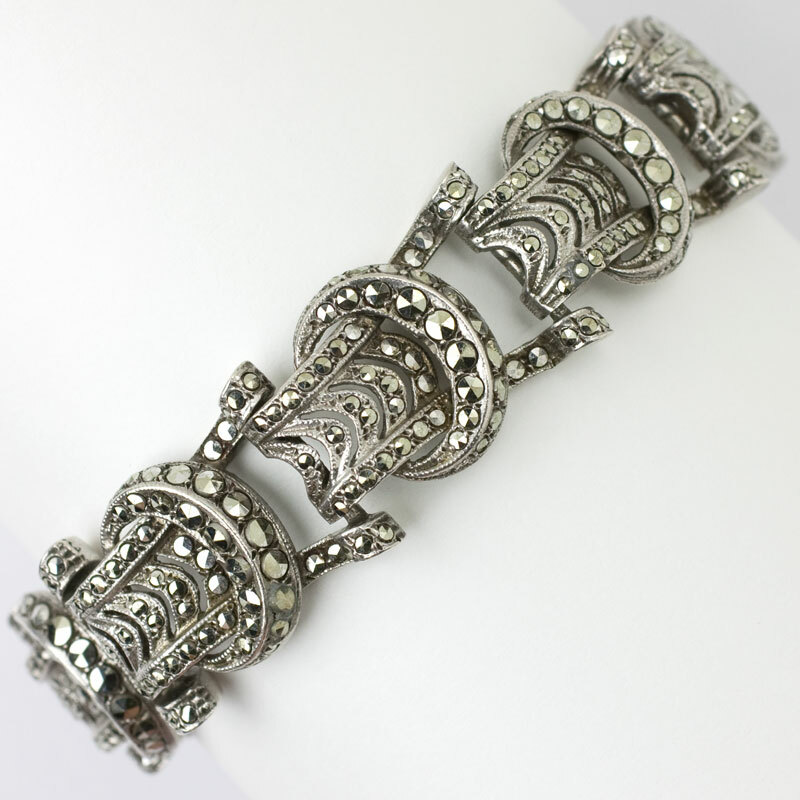 It closes with a spring-ring clasp. Scroll down to see several coordinating earrings, which also have crystal chicklets, and a bracelet.